It was the perfect family Christmas. If by perfect you mean overcooked turkey, badly behaved relatives and something viral taking up residence in your digestive system. Relive the joy with me in a Holiday Retrospective Crap-tacular; KniTunes for the New Year; there’s no excuse for not creating with all these knitting and crafting podcasts to inspire you; Mrs Beeton goes to France – Today’s Sweater, and more cool knitting stuff. A pleasure to listen to. Amazing how much knitting I get done,just sitting and listening. Paula Simmonds ”Spinning For Softness and Speed” will help you spin soft,Noro style,single ply yarn. 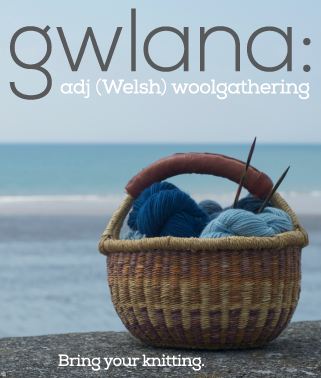 Go to Get Knitted ! Sue is a most wonderful person. loved hearing Parlour Dames on your podcast today. Great band!! Thank you, Brenda, for your lovely New Year’s Day treat. I didn’t expect it, and it made my day go sweetly before my knitting guild meeting. Yes, we met today. We had a low-key knit-in. It was nice. How excited was I to discover that you had a new podcast today! Excellent start to 2006 – and thanks for letting me know about other crafty podcasts – I’ll have listening to fill in the air until your next. Keep up the good work – I’m having a lot of fun listening – I feel like you are in my SNB group! Hope you saw the glowing review of your show at one of my favorite knit blogs: http://alison.knitsmiths.us/001565.html. I’m really enjoying your podcast. I’ve been with you since the start. I love the music you’ve been playing. BTW I bet your spike on the 29th was due to all the new iPods under the tree! I listened to episodes 3-5 yesterday and I really enjoy your show, especially your choice of Knitunes. I also liked the pieces by Franklin Habit as well. I look forward to hearing the beginner tips because I don’t know how to hand knit, but I’m really good at loom and machine knitting. Really enjoyed your show, the first time I listened. I found you because you were suddenly listed on iTunes, so I subscribed. But I also heard about you on Knitcast’s last podcast, which is the first one I knew of. I’m really glad to hear you are going to podcast more frequently because I enjoy your show so much.You give me the chance to hear music I would never hear otherwise AND I think your sense of humor is great. Thanks for what you do. Thank you for filling your Cup of kindness with the French Mrs Beeton (who is really welcome here. Hope the virus left your relatives ! Thanks for the shout out and the mic suggestion. Two things, I can highly recommend Get Knitted I use them all the time to get the yarns I can’t get here on the islands and regarding your Rogue had you considered steeking it and putting in a zip? I knitted the cardigan version and as our climate is similar to yours ( even a touch warmer really)Iget a lot of use out of it as a light jacket for walking the dog. Happy New Year! I still listen and love your podcast. I have enjoyed all your music selections. I disagreed with your political statement in the last podcast, but I’m not a *B* about it. I still listen and enjoy 99% of what you present. It is what it is. And it is good. Don’t let the whiney brats get you down. You should definitely come down to Bristol for Get Knitted open day, it’s so much fun fondling the yarns and they often have a good bargain corner. You and Marie would be welcome to come round to my house for a cup of tea with me. i know the feeling about people who are unappreciative. my fiance and i cooked thanksgiving dinner for 14 people, and were thoroughly exhausted, and anyone under the age of 20 was completely unappreciative. sigh. and there were several of them! growl. anyway, rogue. oh bestill my beating heart! i know i’m a bit behind the times, but i cast on for it months ago, and i need to take it back up again. and i live where i can wear it at least 6 months, lol. as for the politics, i don’t care. you are still a wonderful person, no matter what you believe, and for goodness sakes, you’re a knitter. what else matters? keep podcasting, i love it! I love your podcast! I’m one of the lucky ones with an iPod under the tree and I also suspect that’s where you got the spike. Anyway, just wanted to chime in with praise for your voice (great radio voice! ), your music selections and your storytelling abilities. My very favorite so far was the one about the snow, but I love them all and will be listening for a long time to come. Well done! Just wanted to let you know that one of the top five things I was looking forward to enjoying again when I returned from winter break to my college and computer was catching up on your podcast. I love your music choices and your comfortable coversational tone is the perfect thing to put you in the mood to relax and knit. Thanks for the hours of enjoyment. Oh, BTW, I’m sooo excited you will make Cast On a weekly show! Great! I’m really glad that you’re going weekly, but I’m also wondering, do you have enough sweaters to talk about for a year? That’s actually my favorite part of the show. PS. I have a rather selfish suggestion. 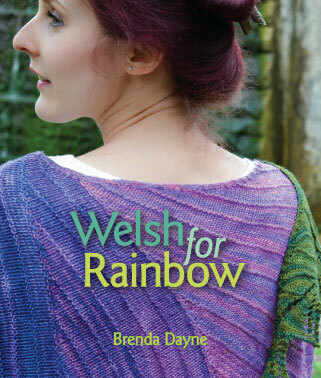 I’ll be in the UK on hols this year, so do you have any must see mills or yarn artisans? I’m echoing Susan. Today’s Sweater is my favorite part of the show. Perhaps if you start running out of sweaters you might consider guests to talk about their sweaters. I found your podcast via Craftypod. I’m not a knitter – but I listened while doing other crafty stuff and I LOVE IT! I’m currently working on my own podcast… and just so you know the rest of us crafty-ies have your back in changing the world! I am in the school library using their wireless, so finally am able to listen to your podcast. Punk music eh? Strange. Though the music you choose is excellent. I just wanted to say how much I love your show. I know my blog isn’t big or anything like that, but I did give your podcast a favorable review because of the music you choose. I love heavy metal but you just can’t knit to it ;D.
Am enjoying the podcasts immensely; thank you for all your hard work. I’m really enjoying your podcasts – as you say, you can soon tell if you could spend an hour with a person! I listened to the latest edition on my journey to my knit group – great entertainment! I also received an ipod under the tree and subscribed around Dec. 29th. 🙂 Have listened to a couple of shows so far and really enjoy it – I listen during the unfortunate times I can’t be knitting, like when working on the computer or at the gym. Makes time fly! Looking forward to future shows. I’d spend 20 minutes in a room with you anytime, Brenda! You are the best. Your voice is like honey. My needles make lovely patterns listening to you, and time does not exist. Thank you for such great hours of pleasure. I’m so glad you are going weekly! Happy New Year! ARE YOU KIDDING?!?!? Someone complained about the music you play. I LOVE IT! But as ‘they’ say, you can’t please everyone. I say …. keep up the great work. I absolutely love listening to your podcast. I feel like I’m sitting down with a friend when I listen to you. And to your critics… remember what your momma told you… If you don’t have something nice to say, don’t say anything at all. Thank you so much for making the audio archives available. I am going back and starting with Episode 1 and working my way forward while I learn how to weave on my rigid heddle loom. I love to knit, but it doesn’t love me. (I have very bad tendenitis in my left wrist that hurts all the way to my neck if I make more than a few rows.) So I’ve switched to weaving, and after exhausting Syne’s wonderful archives of Weavecast, I have come back to Cast On. Your enthusiasm for handknit socks made me change mine this morning into the only pair I was able to knit for myself before my wrist gave out. Maybe I can find a knitter who would like a handwoven scarf in exchange for handknit socks?? Just wanted to send you a comment across the pond to say thank you again for creating Cast On, for putting so much hard work into it and for sending it out into the world. It is so, so greatly appreciated. The Get Knitted shop is just around the corner from where I live in Bristol. I love love love love that shop. They have everything that a knitter could want and more. The shop assistants are always so helpful and nice and never get annoyed w/ my silly knitting questions. I’m very lucky to live so close to such a fab yarn shop. Thank you for talking about your bad Christmas and “who you did it for.” That resonates for me at this time. I’m a new mom of a beautiful 8-month old boy, Whitley, and my mother-in-law has really been getting me down this fall and through December with her advice, passive aggression, and judgement on my parenting. I have in the past thought she and I were closer and could be more friendly. But I have now given that up and realize that if I think of her as someone in the grocery store just making a comment as I walk by I can save my own well being. And by withstanding her unwelcome comments I can allow her to develop a relationship with my son (I think loving grandparents are a very special thing) and I can let her relationship with her own son be whatever it is without my negative influence. If that one flourishes or flounders I will not be responsible, just a bystander.